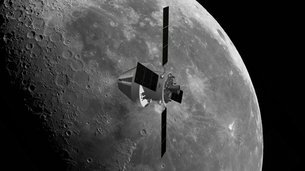 The Multilateral Coordination Board, which oversees the management of the Space Station, stressed its common hope for the Gateway to open up a cost-effective and sustainable path to the Moon and beyond. The announcement comes after several years of extensive study among space agencies who have developed a technically achievable design. The partnership includes European countries (represented by ESA), the United States (NASA), Russia (Roscosmos), Canada (CSA) and Japan (JAXA). 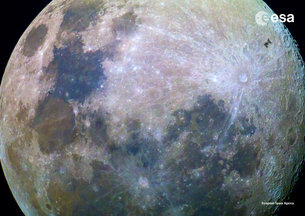 “We are getting ready, together, to send humans farther into the Solar System than ever before. The lunar Gateway is the next big step in human exploration and we are working to make Europe a part of it,” says David Parker, ESA’s human and robotic exploration director. NASA’s Orion spacecraft will transport astronauts to the Gateway. Orion is powered by the European Service Module, which will give the crewed vehicle a final push to inject it into translunar orbit. Almost 50 years after the first human landing on the Moon, the Gateway will support human and robotic access to the lunar surface. “We will extend the presence of humans one thousand times farther into space compared to today’s International Space Station,” adds David Parker. The Gateway will offer a platform for scientific discovery in deep space and build invaluable experience for the challenges of future human missions to Mars. Nearly 400 000 km away from Earth, its orbit will provide excellent visibility of both the Earth and the Moon’s surface allowing it to relay communications. Canada has already confirmed its commitment to join NASA in the Gateway and contribute advanced robotics to the project, making the Canadian Space Agency the first partner agency. ESA’s potential involvement includes the ESPRIT module to provide communications and refueling of the Gateway and a science airlock for deploying science payloads and cubesats. ESA is also studying its involvement in the international habitation module working with the international partners. A possible commitment towards building Europe’s contributions to the Gateway will be one of the key decisions to be made by Ministers at the Space19+ Conference in November 2019. The Gateway would not be possible without the International Space Station. After two decades of successful operations in orbit and a solid partnership on Earth, the Space Station is the worlds largest cooperative programme in science and technology. With more than 100 countries having used it for research and education activities, the partners remark that the Space Station is also nurturing a growing economy of business and services in Earth’s orbit. “This international team has not only built the Space Station and risen to the challenges of its day-to-day dynamic operation, but – most importantly – delivered tangible benefits to humanity,” says the statement.